Bending notes on the harmonica is one of the tools that make the instrument so appealing for blues. Being able to create those missing notes is cruical for getting the right blues feeling. It doesn’t matter how long you play, you can always improve your harmonica bending technique. How you practice is of importance getting the right systems involved is crucial. In this article I will guide you through how to avoid some common pitfalls and give you a good start. Manipulating the airflow around the reeds is what it is all about. As the goal is to change the pitch we play it is important to understand a little bit of what goes on. When we bend we manipulate the air flow through the harmonica so that the draw reed slows down lowering the pitch. At some point the blow reed will start vibrating and interact with the draw reed. This is not done by force which is a common misconception among beginners. What you need is good control of your tounge and your throat. My manipulating the position of your tounge and the shape of your mouth and throat cavity you will reach the desired effect. In order to get this going you need to be able to hear the pitch you are aiming for in your mind. This becomes the target you are trying to achieve. At the same time you need to be able to understand how you manipulate the position of your tounge and the shape of your throat. When you achieve a lowering in pitch you make a mental note of how it feels. This feeling is important to remember as it guides you in what to control. It is however not that feeling you should be targeting. 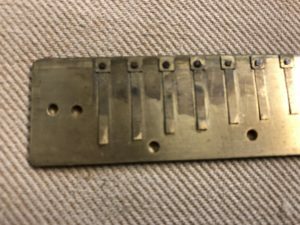 Bending will feel differently on different pithced harmonicas so you cannot rely only on the feeling of the bend. What you hear is what should guide you. By using tuners or apps like Harp Ninja you can visually see how close you are to getting the right pitch. This is very important when you start practicing harmonica bending technique but it is not something you should rely on when playing. Remember that a tuner or Harp Ninja will not be available to you in the heat of battle but your ears will. To be able to mentally hear the pitch you first need to find the pitch. To do this using a guitar or a keyboard can be very good. You can also do what Tomlin of Tomlin Harmonica Lessons does to play 3 draw whole step bend in tune and use a second harmonica as a reference. No matter how you choose to find the pitch to aim for, you need to consider what type of bends you are aiming for. You may not always aim for exactly the pitch on the same hole. All in all practicing harmonica bending technique comes down to using visual and sensory cues when needed, especially when starting out, but getting your ears in play as much as possible. The ears and your listening skills really are important in many aspect of music. Let me know how you practice work out for you! Blues harmonica buildup riffs is a special kind of riffs that are used instead of a classic turnaround riff and sometimes they intergate into the V-IV-I-riff. The idea around a build up riff is that is building energy and anticipation for the the next chorus. In this article I show different types of blues harmonica buildup riffs and explain where they might be used. When we talk about blues harmonica buildup riffs there is no precise definition of what they are. For a riff to be a buildup riff for me it either builds anticipation and tension, hints at the coming chorus or picks up the next chorus early. You might even debate what riff is doing what but I wil try to keep the types fairly clear. This type of riff typically leads you from the tonic of the I-chord to the note you want to start the next chorus on. It is a good way of moving from 2 draw to a higher note so that you don’t have to make a big jump after a classic turnaround that may land you on 1 draw for example. This riff is 1 bar long (with a pickup) and leads you from landing on 2 draw in your V-IV-I riff to starting on 5 draw in the next chorus. Note that the last bar is part of the next chorus and not the buildup riff. Pickup style buildup riff leading to 5 draw as start in the next chorus. A good way of building energy is using repetition and increasing the volume at the same time. This builds both tension and the feeling that something is going to happen. This riff is very simple in itself, based on triplets in a simple pattern between 3 draw and 4 draw. It actually starts as part of the V-IV-I-riff in that is replaces both the I-chord part as well as the turnaround. Buildup riff as repetitive triplet with pickup. By hinting at what is coming in the next beginning of the next chorus you can also build energy in a nice way. In this example the next chorus starts with a triad as a pickup on beat 4 in bar 12. The rest of bar 12 hints repetitively at the coming triplet. Note that the 1, 2+, 3+, 3, 2 part is actually part of the first riff in the next chorus. Buildup by hinting at the coming riff. The way to integrate blues harmonica buildup riffs is to build up a bank of them, now you have three, and start using them together with your V-IV-I-riffs to exand that riff bank even further. Let me know how these riffs work out for you and don’t forget to sign up below to get the Welcome package and get exclusive material! Click here to get to the sign-up page! No matter what level player you are there are a number of harmonica skills you need to work on. These skills should be viewed as work in progress, you can never be too good. If you are a beginning to intermediate player working on these skills will help you improve faster. These are also skills you will continue developing as long as you play. I have focused on skills that people either take for granted or tend to overlook. Breath control is an important harmonica skill. It is very likely that you will spend a lot of your time playing in second position if blues is your style of music. The harmonica is primarily an inhaling instrument for blues especially in second position. This is the exact opposite of what you body wants. Your survival instincts tell you to get air in whenever possible to ensure that you don’t suffocate. Good harmonica technique require that you don’t waste the space in your lungs making this one of the primary harmonica skills. You need to be able to inhale for a long time to play many inhaling notes in a row. To do this you ypu need to be comfortable with emptying your lungs completely and filling them slowly. At first this will be uncomfortable but you can train your ability. If you have any medical condition you must consult with your physician before attempting to practice this. It is not worth hurting yourself. 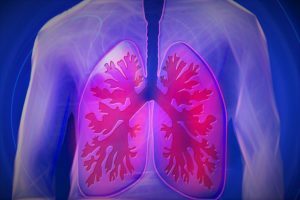 The two parts you can pratcice is emptying your lungs completely and them filling them slowly. To empty your lungs push hard with your diaphragm in a sharp exhale. You will notice that what you normally consider empty lungs is actually half filled lungs, unused blues potential. To practice filling up slowly empty your lungs and slowly breath in through your mouth. Try to extend this time so that you can fill up very slowly. Do not breathe through your nose. This will be a bit uncomfortable at first as your body wants you to fill up faster. If you feel dizzy or anything you need to stop, do not force yourself into a dangerous zone. I strongly believe that tounge blocking is the best embouchure for playing blues harmonica. The thing most people struggle with when moving to tounge blocking is that in everyday life we are unaware of what our tounge is doing. To remedy this we need to become aware of out tounge movements. Joe Filisko has developed a great tool for this, the Filisko Tounge Block trainer. You can either buy it ready made or make one yourself (you can find instructions here). What the TBT allows us to do is see the postion of our tounge when it touches the harmonica (or rather somethinh that resembles a harmonica). By connecting how the tounge feels in our mouths to the visiual image we see in the mirror using the TBT we become much more aware and as a result our tounge control improves. Tounge articulations is a way of shaping the the sound that comes out of the harmonica. I consider this would of the most overlooked harmonica skills. By articulating “who”, “do”, “te” or something similar you can get the tone or chord you play come alive. This is great chording patterns and making riffs more expresive and interesting. To improve your articulations you need to practice them very focused both with and without the harmonica in your mouth. You will most likely have to exagurate the articulation to get it through the harmonica tone or chord. Record yourself while practicing and review to find how strongly you have to articulate to get the effect you want. Playing out of time or sloppily is never impressive. In order to really swing and to deviate from the rhythm in a creative manner you need to first be very solid. The best way develop this is to practice with a metronome as much as possible. You can probably not overuse metronomes. You also need to be strict with yourself and not allow yourself to fall of the beat, make the necessary corrections in pratcice. It will pay off. 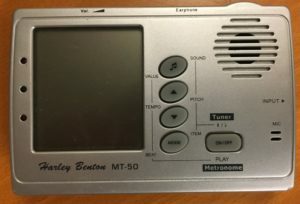 A good way of checking how well you keep time is to use a mtronome that you can silence without turning it off, then keep tapping the rhythm for a while and turning the sound or vibration on again. This will give you a good indication of how much you stray in you are not constantly reminded of the beat. You don’t need an expensive metronome. Listening skills are important both for developing ideas inspired by other artists but also to be able to follow other musicians. 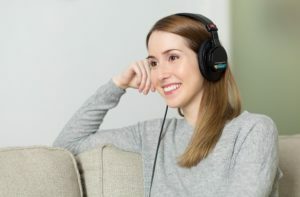 By developing your listenings skills will highten your musical awareness and also your appreciation for music. The best way to develop this skill is to listgen to a lot of music and take note of what you hear. Transcribing music from recordings is another great way of developing this. Some of these harmonica skills will be developed in your normal practice sessions but you will also benefit from specific practice. For example practicing a song over and over again with a metronome will develop both your sense of rhtythm and your breath control. However to make big improvements you should also plan some part of your pratcice sessions for a specific skill. You don’t have to pratice everything every session though. If you pratcie three times a week normally, say Monsays, Wednesdays and Saturdays, then doing a few minutes of breath control work on Modays, extra rhythm exercises on Wednesdays and articulations and tounge control on Saturdays will go a long way. If you have any questions, please don’t hesitate to contact me and if you haven’t already sign up below to get the Welcome package and get exclusive material! 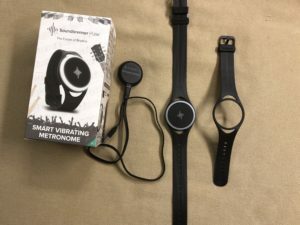 A few weeks ago I bought a wearable metronome and now it is time for a short Soundbrenner Pulse review. The reason I decided to get this device is that even though I consider the metronome an essential piece of gear listening to the click can be distracting. A silent device seemed like a good idea to me. In this review I give my thoughts on what this device offers to harmonica players. For full disclosure, the links in the article are affiliate links and I get a comission if you choose to buy through these links, thank you for your support. First off let’s take a look at what you get. In the box the device comes in, which is quite nice in itslef, you get five items. You get the actual Soundbrenner Pulse device, a charging station, a USB chord for the charging station and two straps of different sizes. You also get some quick start papers but I am not really counting them. The packaging and items themselves feel like good quality gave me a nice impression right away. Box, charging station with USB-chord, Soundbrenner Pulse device and straps. Before you can start using the device you have to charge it which is quick and mount it in one of the straps. Since the straps seem quite durable getting the device in place on the strap took a bit of force but nothing major. The two straps give you a lot of options on how to wear the Soundbrenner Pulse. For most people the two straps will allow you to choose wrist, lower arm, upper arm, ankle or calf depending on what you prefer. You need to experiment with the optimal placement for you. If you like to wear it around your chest you need to buy a bigger strap which Soundbrenner of course offer. The device is operated by two fingers that are placed on the top surface of the Soundbrenner Pulse and by turning the dial of the device. This allows for simple turning on/off, starting and stopping the beat and defining the beat. Initially I had some problem where I defined a very fast beat when I in fact just wanted to start the metronome at the already defined tempo. After using it a couple of times this problem went away so it seems to be a minor issue. 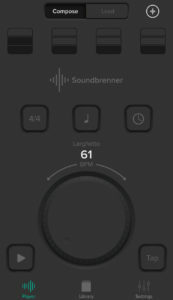 To take full advantage of the device the Soundbrenner Metronome App should be downloaded. After connecting your device to your mobile device you get a lot of options on how to customize the strength of vibrations, time signature, beat sub divison and accents. There is also an option to sync up to five Soundbrenner Pulses which is very useful if the whole or part of the band are all wearing a device. There is also a library where you can store complete songs if it calls you changes in the beat throughout. The device require some getting use to and Soundbrenner is very clear about this. Feeling the beat is very different from hearing it. In the beginning you need to focus on feeling the vibrations and maybe customizing them in the app before it works well for you. However when you do get use to it, which doesn’t take all that long, your ears will be liberated. When you don’t have to listen for a beep or a click you can focus on litening to the music instead and this is where I feel the big advantage is for harmonica players. When I was compiling this Soundbrenner Pulse review I was thinking a lot about the sound level of the device. Initially I was expecting it to be almost completely silent but truth be told it does make a sound. This mean that I cannot wear it on my wrist as it puts it too close to my ears. What I have done is wear it on my ankle and also turn down the power of the vibrations. I am probably more picky than most about this. When I aked support about this I got a quick and professional answer. When you get use to feeling the beat the vibrations almost disapear when you play in time. For me this is great. It means that I only get a correction when I drift out of time. I think this is what you need more than anything. If you find this Soundbrenner Pulse review helpful please give it a like and share it on social media. Don’t forget to sign up below to get the Welcome package and get exclusive material! Click here to get to the newsletter sign-up page! Subscribe to get exclusive content!